My experience with A1Savannahs was exceptional from beginning to end. 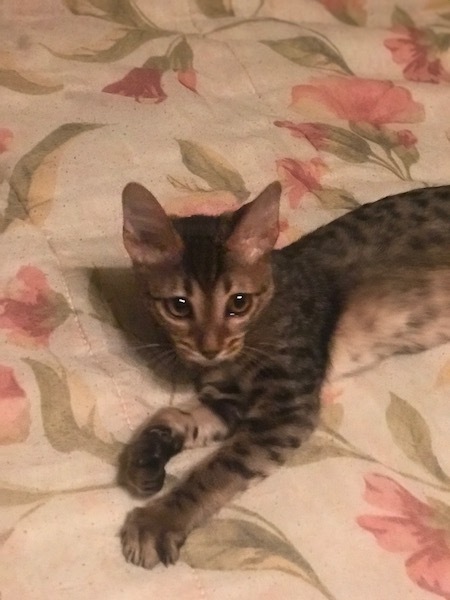 My first encounter with A1Savannahs was when I sent them an email inquiring about Savannah cats They were quick to respond, answered all my questions and very inviting to contact them if I had any additional questions. I then followed up with additional questions and Martin suggested we have a phone conversation. 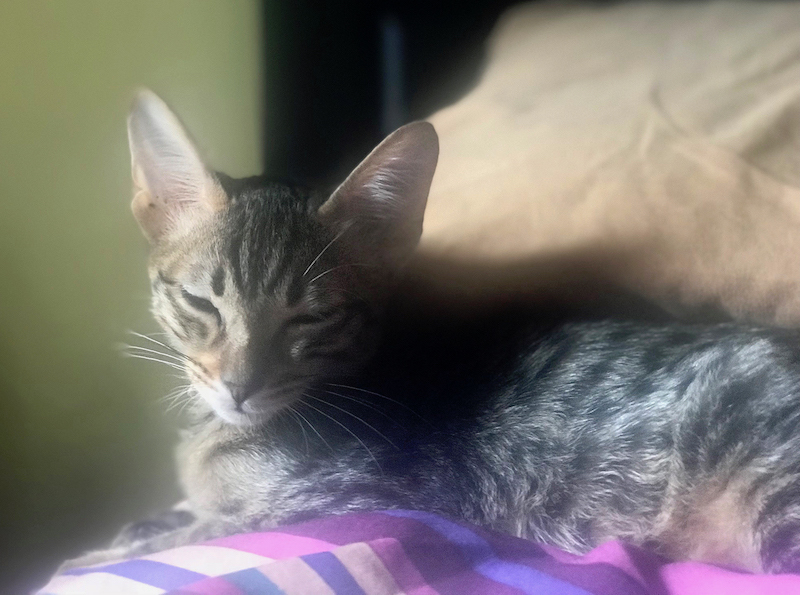 When I called, Martin gave me the full scoop on the Savannah cat, what to expect from the breed, his experience with the breed and what type of savannah cat would be best for my situation. While I wasn't quite ready to purchase a cat at the time, I definitely kept them in mind for when the time was right. A few months had gone by, and the time had come for me to purchase a cat. I did reach out to other catteries but no one had been as responsive as A1Savannahs. At the time I was looking for a male, but they didn't have any males featured on their site. I called Martin to see when they thought they would have another litter but even in that instance having a male kitten in the litter may not happen. I expressed to Martin that I really wanted a kitten that my girls would grow to love and that would fit in with our family. As we continued talking, Martin said he just may have a kitten for me but he needed to check with his wife Amanda first. A couple days later Martin informed me that he thought he had the perfect kitten for us. His name is Alec and boy was he right! Alec (my girls named him "Flash") has only been with us for a little over a week and he has been a total joy. From the moment he arrived he has brightened all of our lives. Most of the time you can find him playing with my girls, following me throughout the house, sitting on my shoulders, or cuddling on the couch with my wife. Thanks, A1Savannahs for all your help and thanks for Alec!